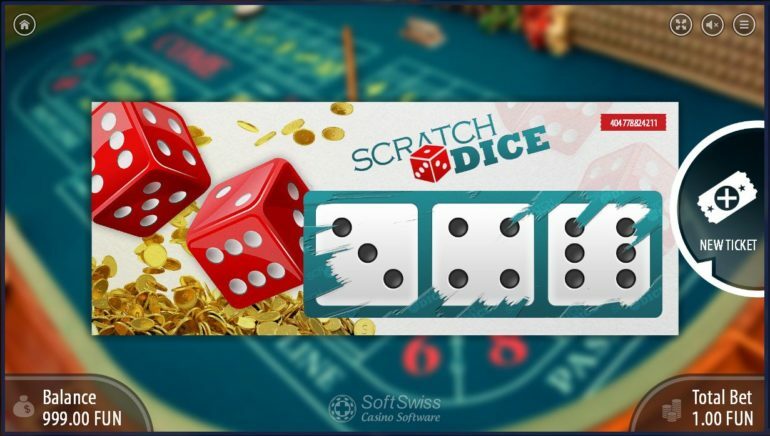 BetChain Dice Games Review – Scam or not? 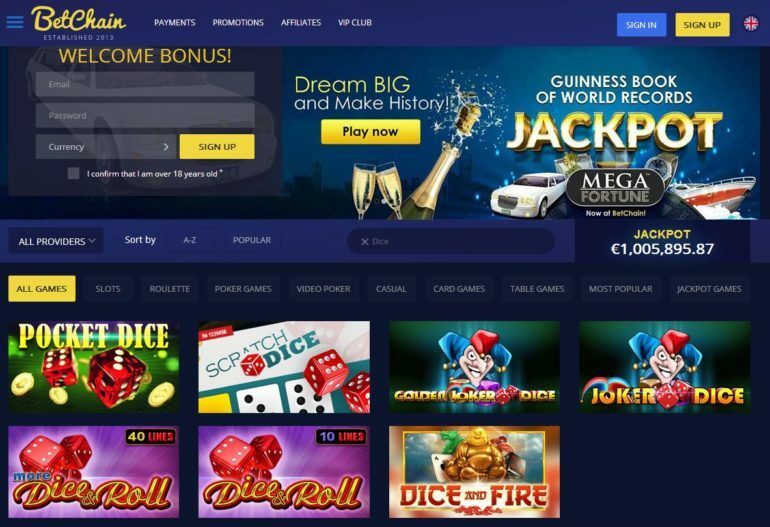 In Betchain.com you are able to choose from lots of games that you are able to play with. They have all the casino games available to choose from and especially the dice games that you will be able to play and try out. I have gone ahead and tried these dice games and they turned out to be a lot of fun! If you are new to BetChain, you can get a 100% Deposit Bonus for your sign up. To start the game you should choose your bets first. You are able to change your bets to any numerical value as long as it is within 0.01 to 1000. After you have chosen your bets, the next thing you want to do is select your dice number. The dice number you can choose from is from 2 to 11. After choosing the number that you think would be lucky, the next step is to decide if you want to go OVER or UNDER. Of course, the harder the probability, the higher the payout; for example, if you choose 3 and put it on UNDER, the payout would be 35.3x the value of your bet. You will be able to buy a scratch ticket for 1.00. The problem with scratch games is that you can easily get sucked into the never-ending quest to win a game. This doesn’t only apply to this specific scratch dice game but to all scratch games out there today. Play at your own risk and always play the money that you can afford to lose. To start the slot machine game, you just need to click on the bet you want to go with. This is a very easy game to earn and lose money pretty quick; even faster than Pocket Dice. This game is also great if you feel extremely lucky on that particular day. 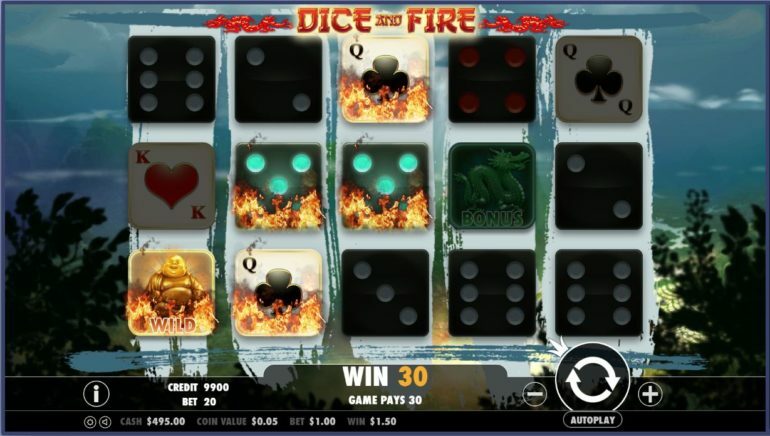 This slot dice game has 40 lines to play with. This is exactly the same game as the one mentioned on top. The only difference is that instead of having 40 fixed lines, this has 10 lines. This means that it is harder to win but with smaller bets. Before you start the game you need to adjust your bets first. You can do this by clicking on the plus or minus button located on the lower right corner of the game screen. 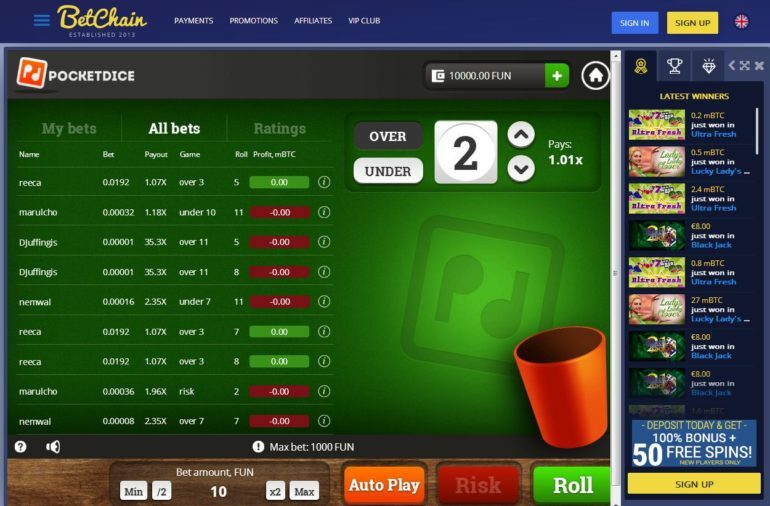 This will open up an additional window wherein you are able to tweak your bets and the odds you are going to play with. Below the game screen, you will also be able to see how much you are betting per draw and how much you won. Betchain.com is a website that is worth your visit due to the mentioned availability of casino games that you are able to choose from. They also have a few dice games in which you are able to try out without having to deposit any money. 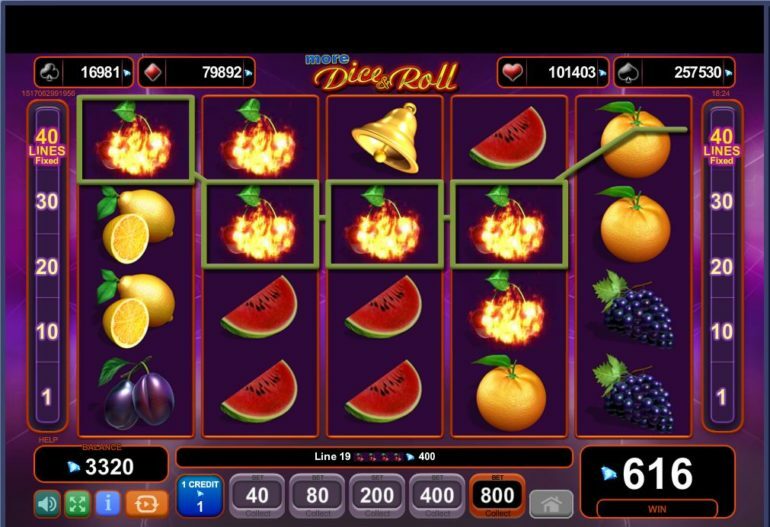 When looking for a place to play casino games, it is really important to know if they offer free games as this would give you an idea on how their software reacts and plays out. A good website to try out even without creating an account with them.